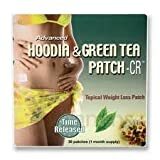 Advanced Hoodia and Green Tea Patch - Time Released - 30 Patches - Most Advanced Formula! Looking for a product to help you drop excess weight without a regimented diet or strenuous exercise? Looking for a product to magically melt away ugly fat, flab and cellulite? Looking for a product to increase your energy? Looking for a product to give you the body you've always wanted? 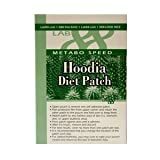 Well your product has arrived: La Patch, the amazing diet patch from Fat Chance Diets! 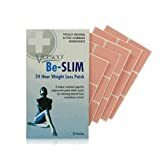 This is the fastest, most effective, and safest way to lose weight without starvation diets or strenuous exercise! You don't have to worry about eating. You don’t even have to think about losing weight. La Patch does all the all the work for you! Just put on the patch and watch inches disappear! The amazing La Patch is safe and 100% natural. It contains no ephedrine, no processed sugars, no lactose and is PABA-free. 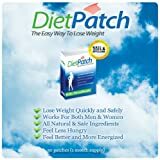 Simply apply La Patch and you will start losing weight immediately. It even works while you sleep! And your family and friends will see the difference right away! For more information about purchasing La Patch, contact us.